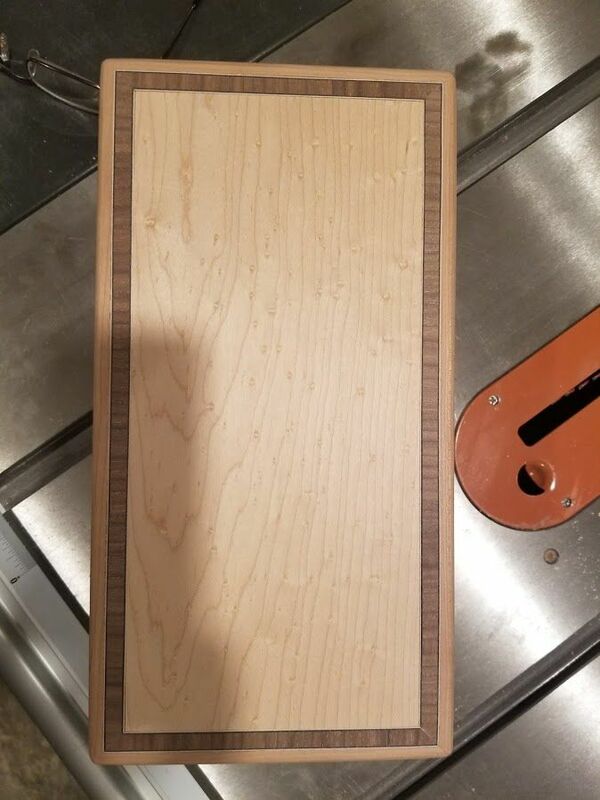 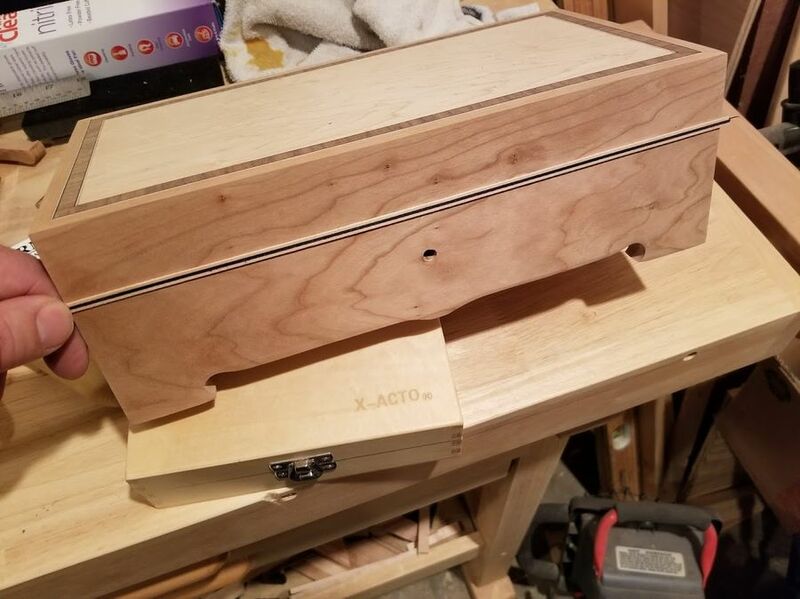 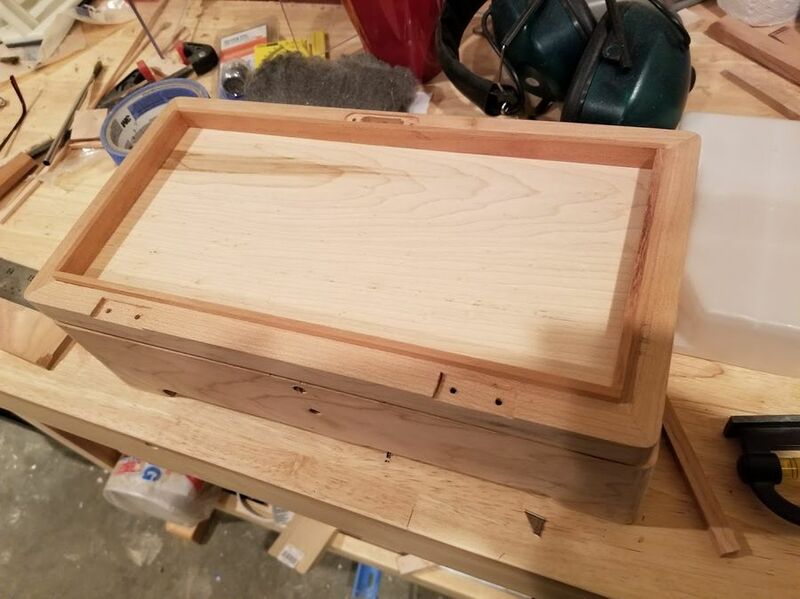 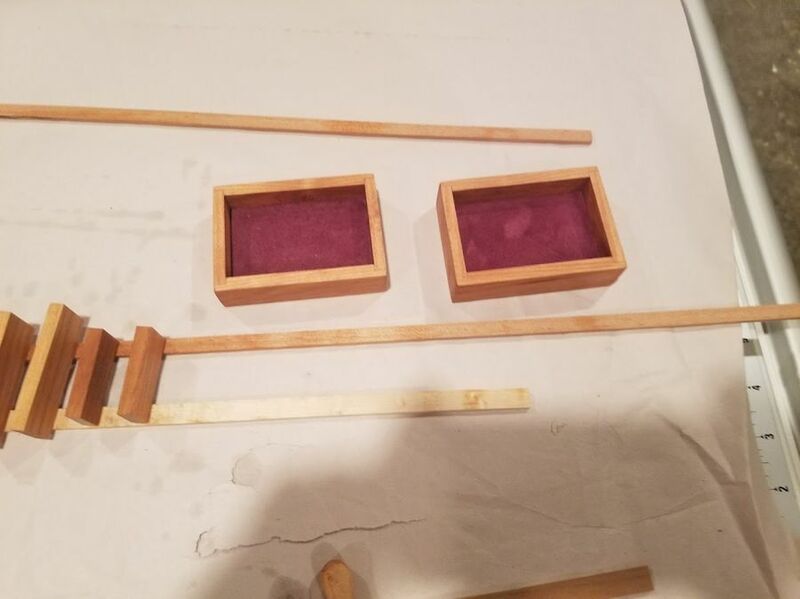 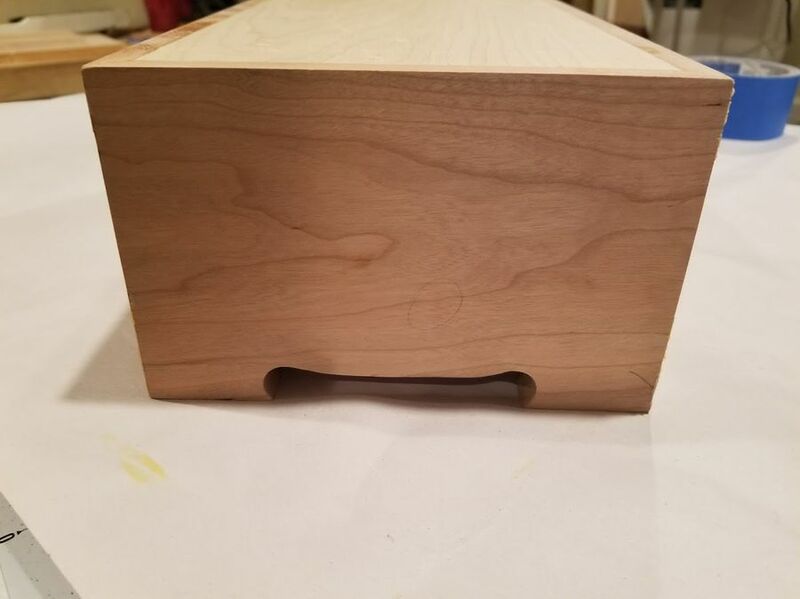 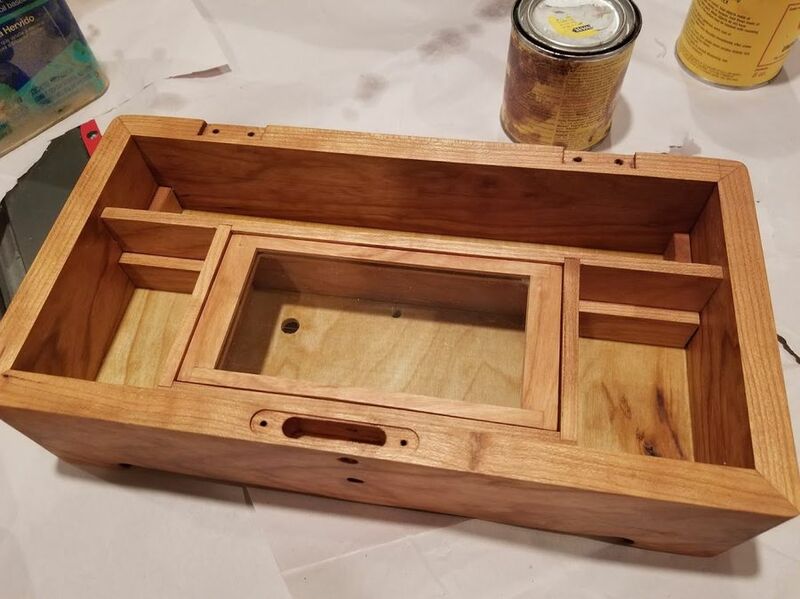 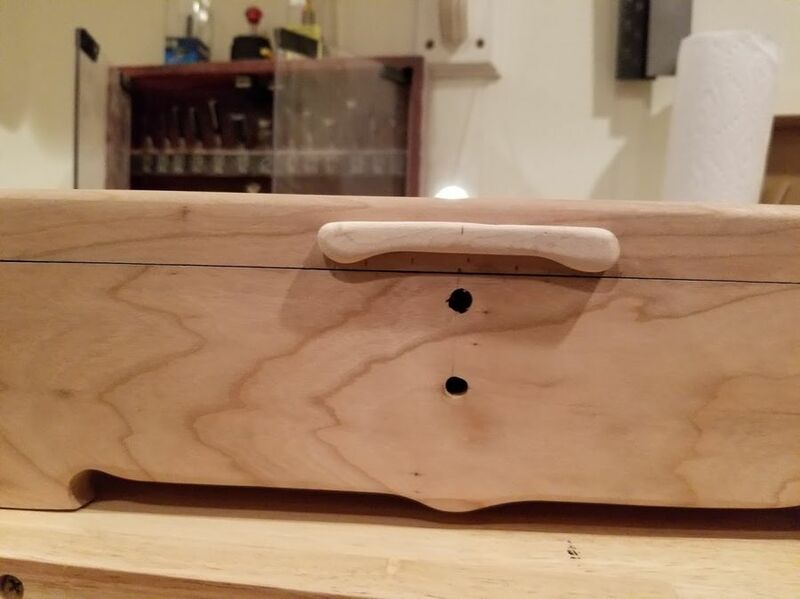 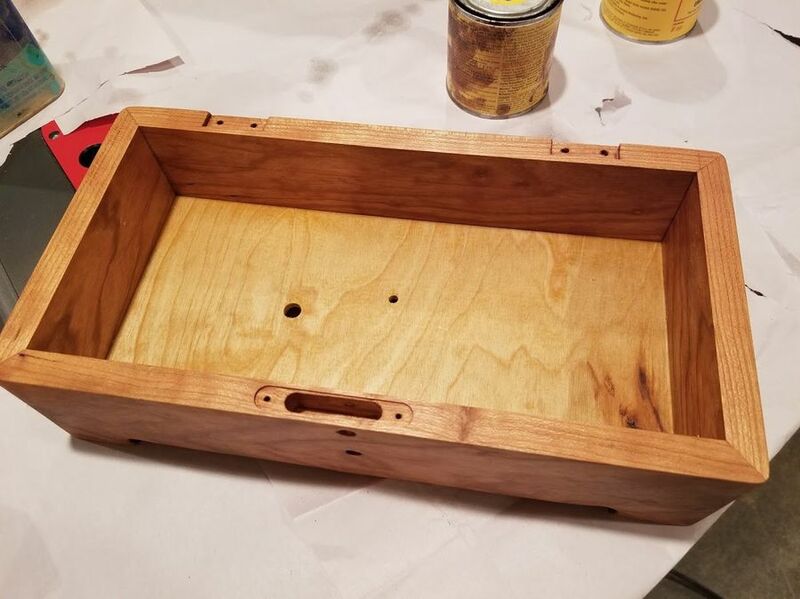 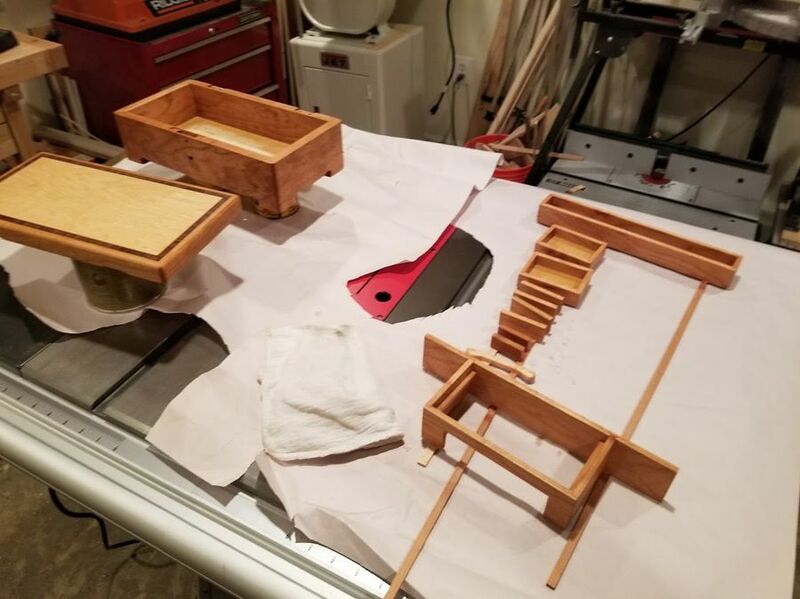 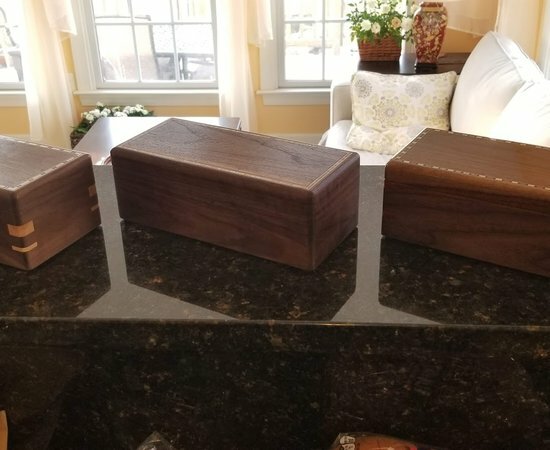 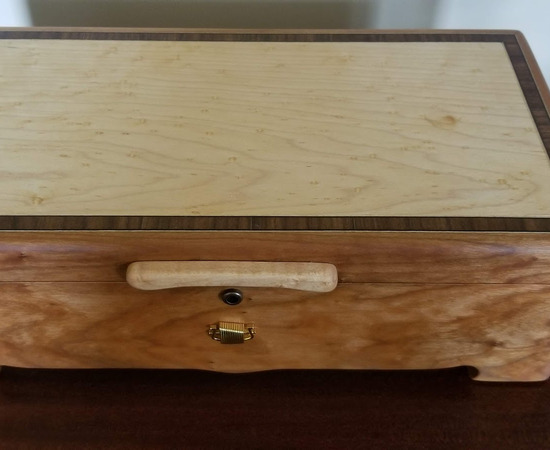 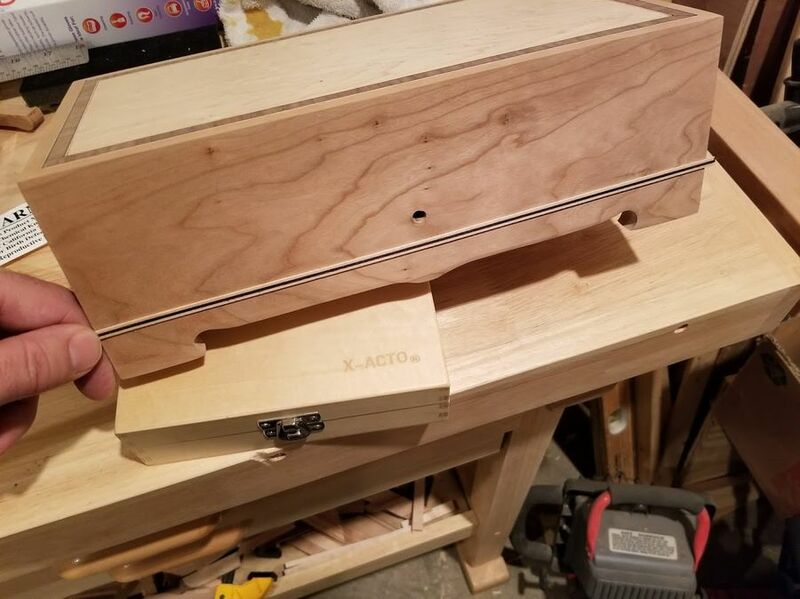 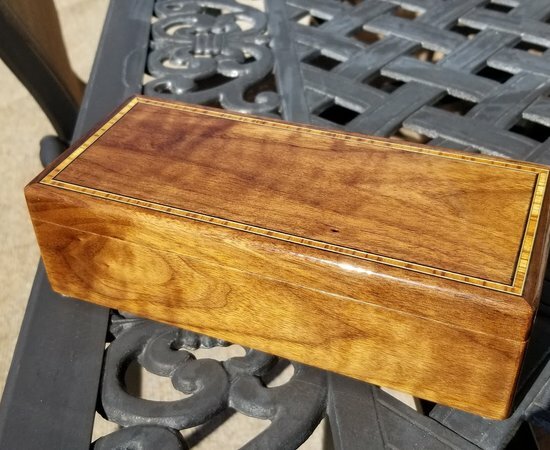 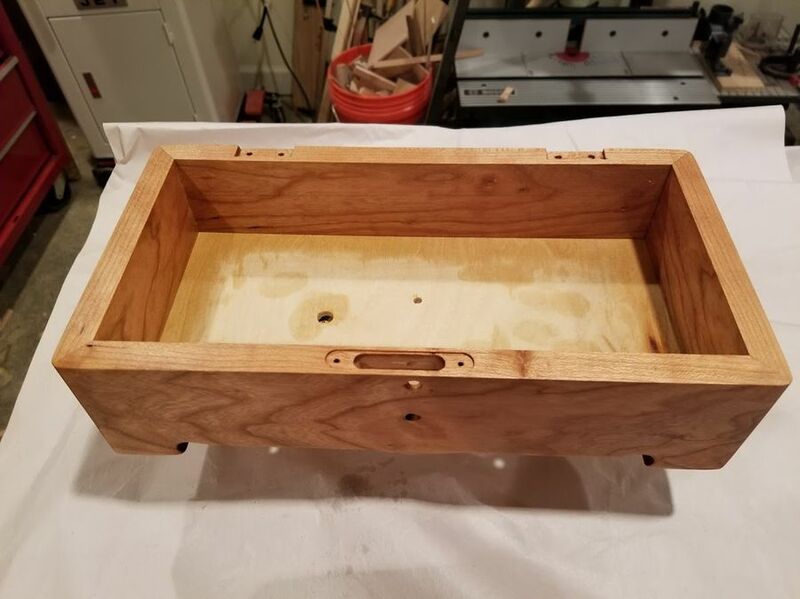 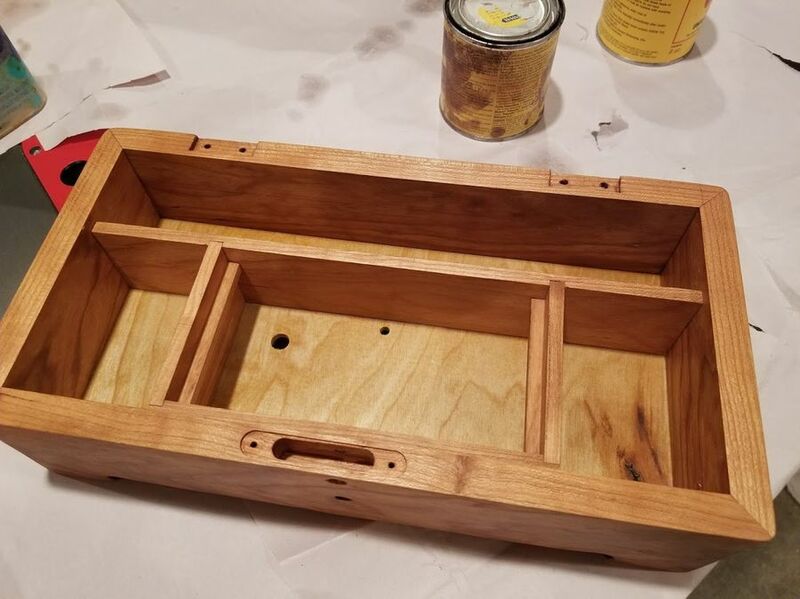 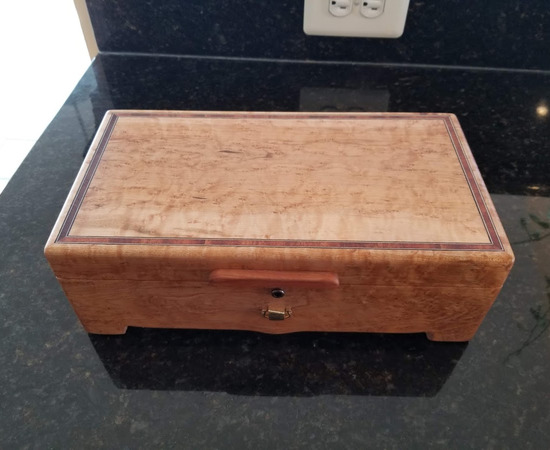 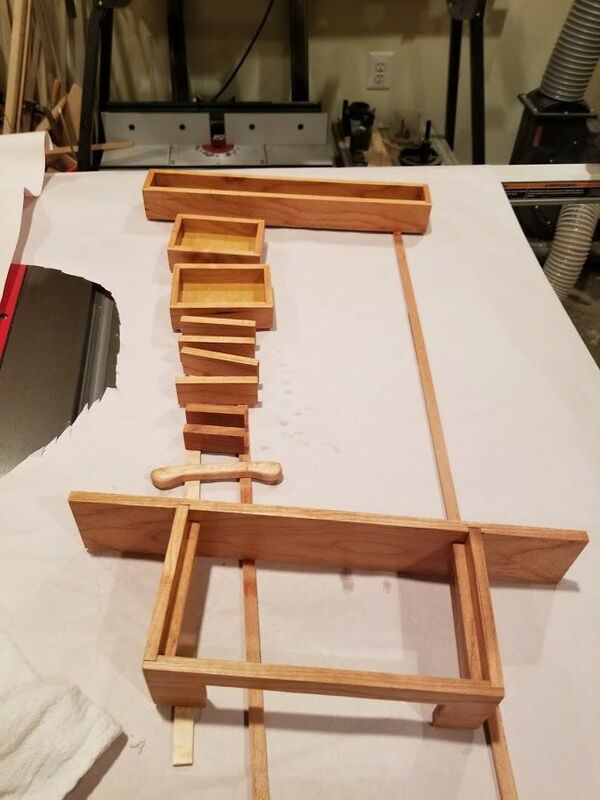 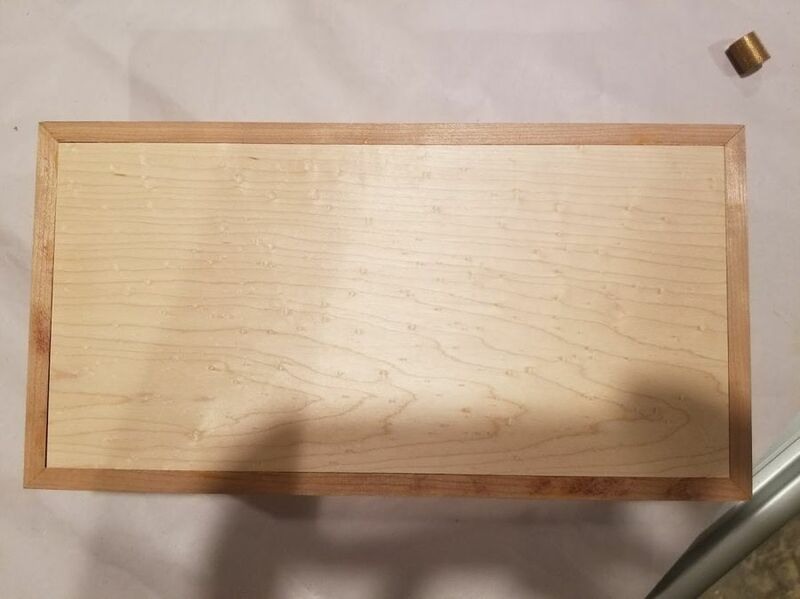 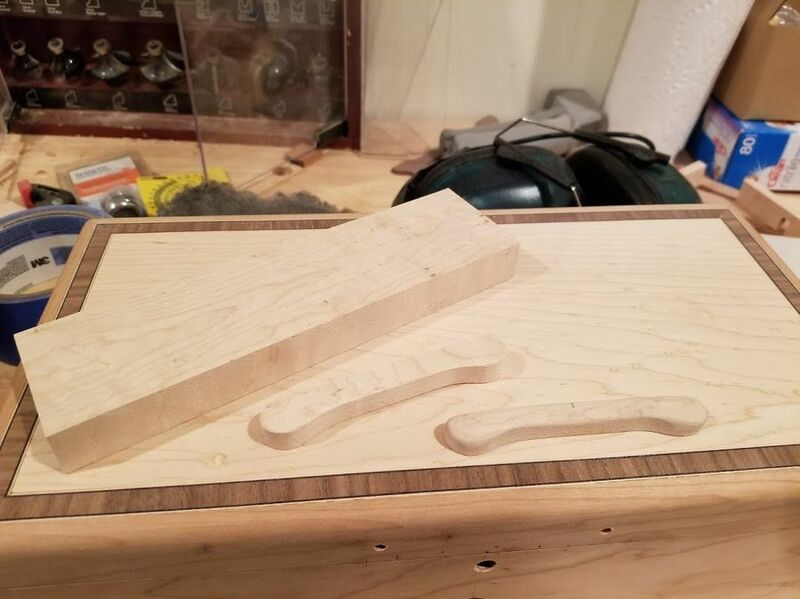 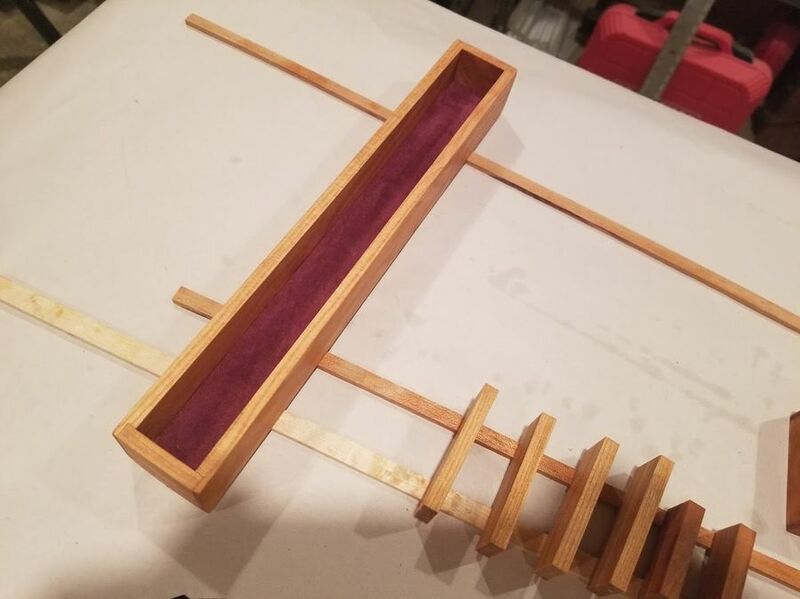 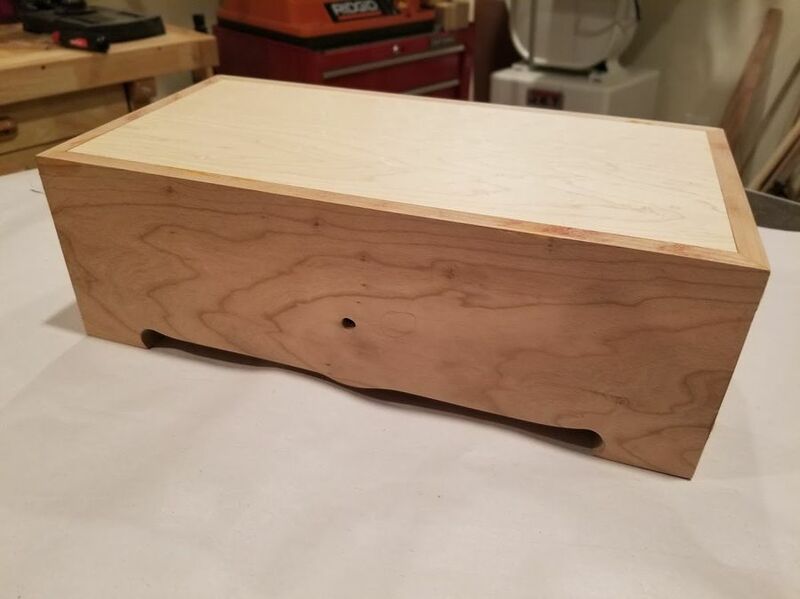 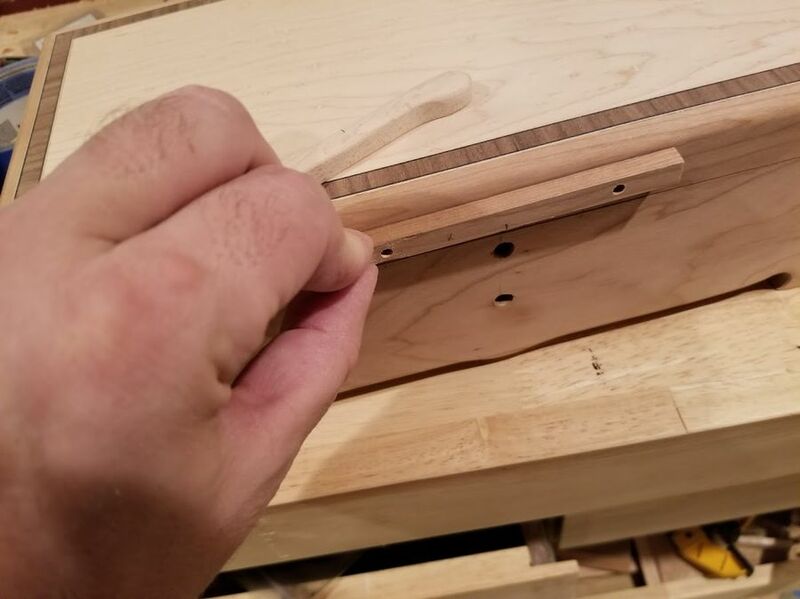 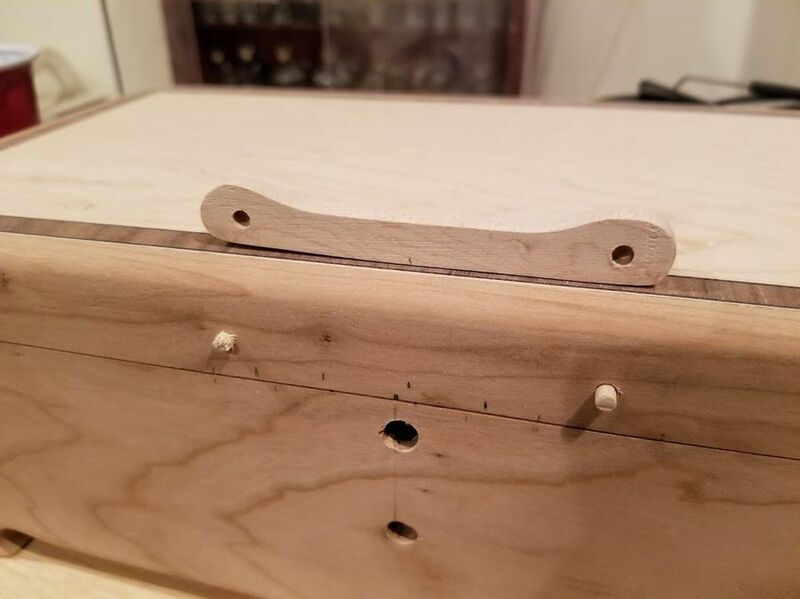 This is a music and jewelry box I made out of Cherry with a Maple top. 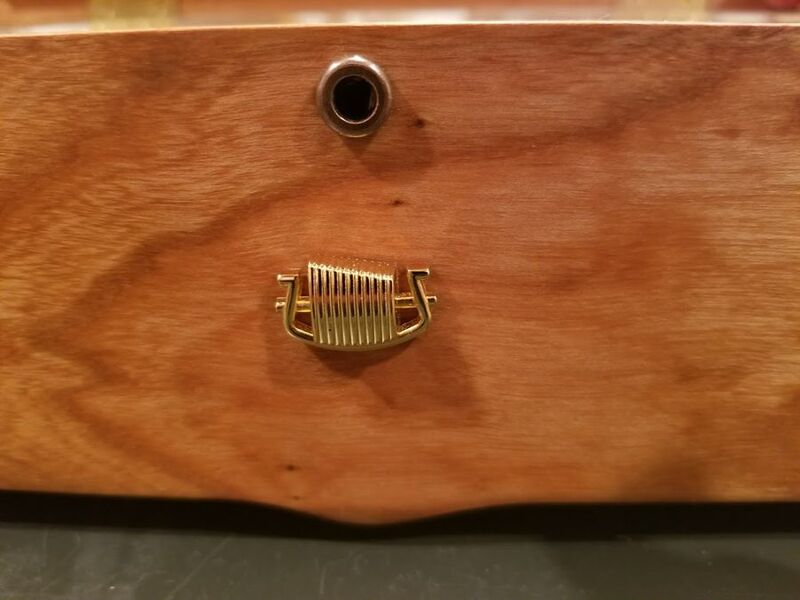 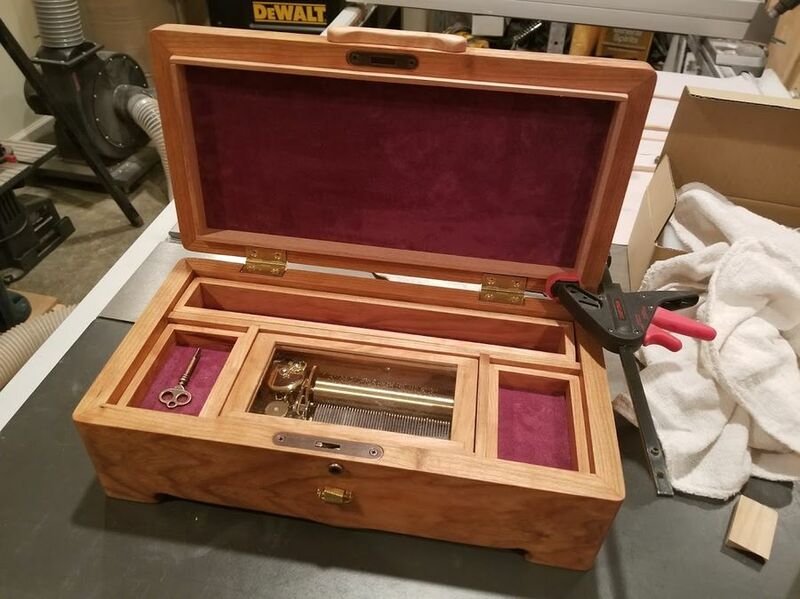 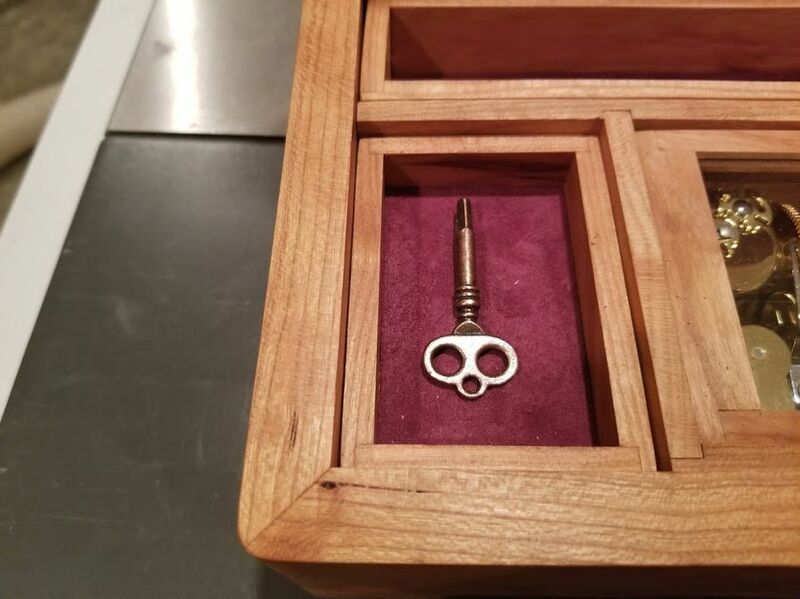 The hinges are Brusso with a humidor lockset. 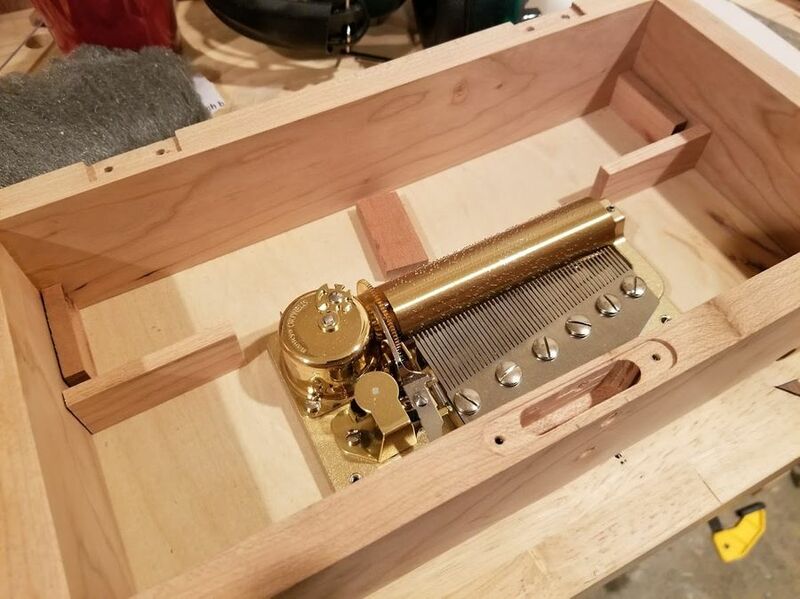 I used a 3 song Sankyo Orpheus movement. 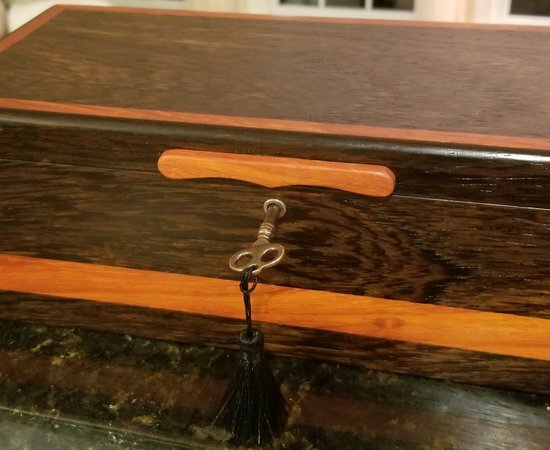 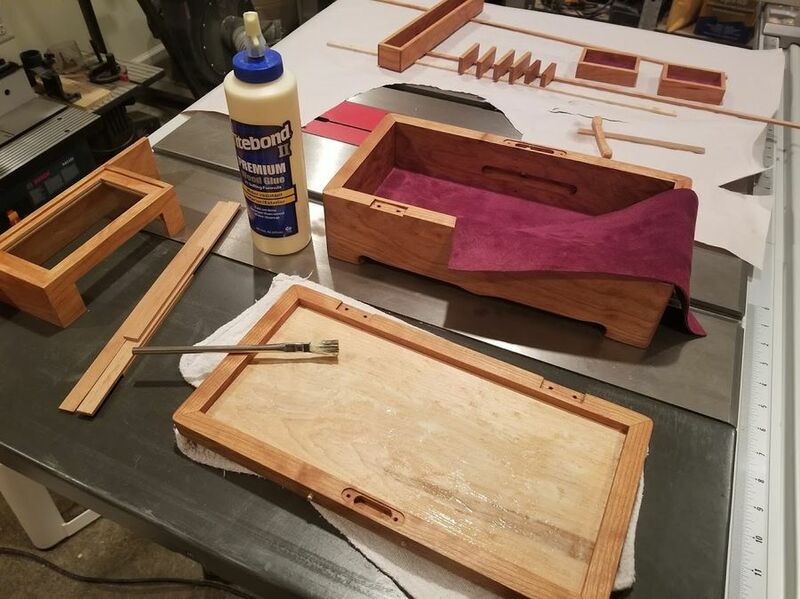 The box trays and bottom are covered with lambs suede leather. 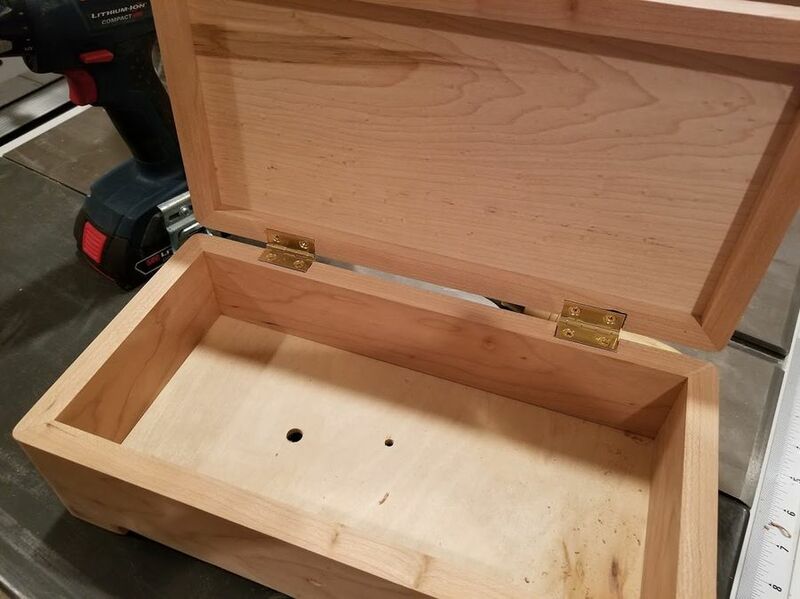 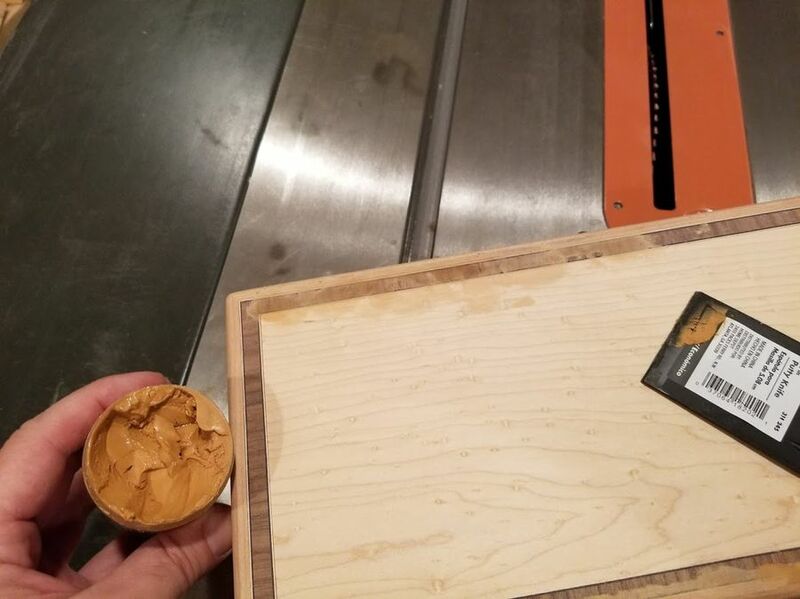 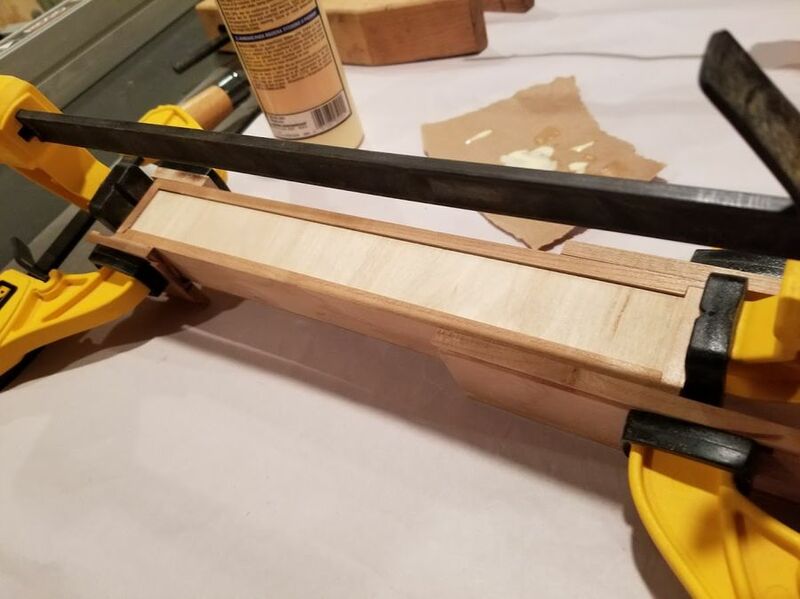 The top has a cedar lip for better sealing. 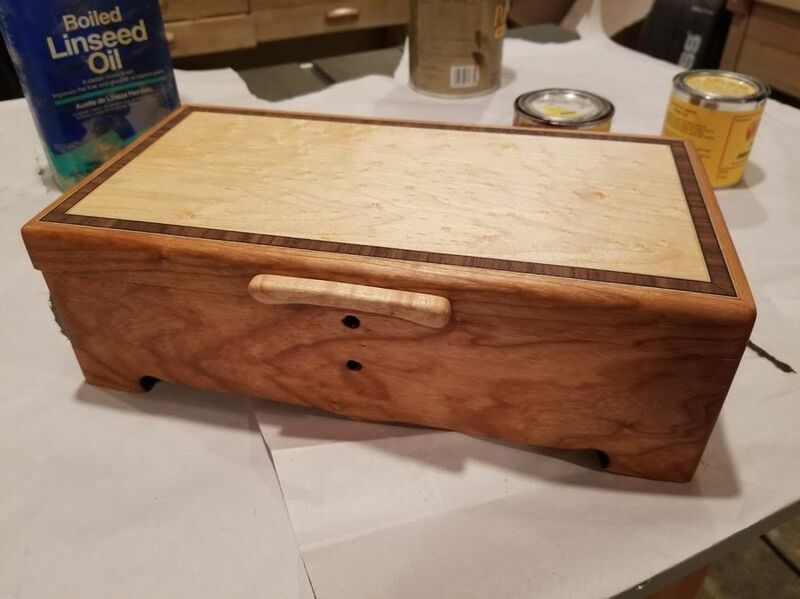 The box is finished in boiled linseed oil. 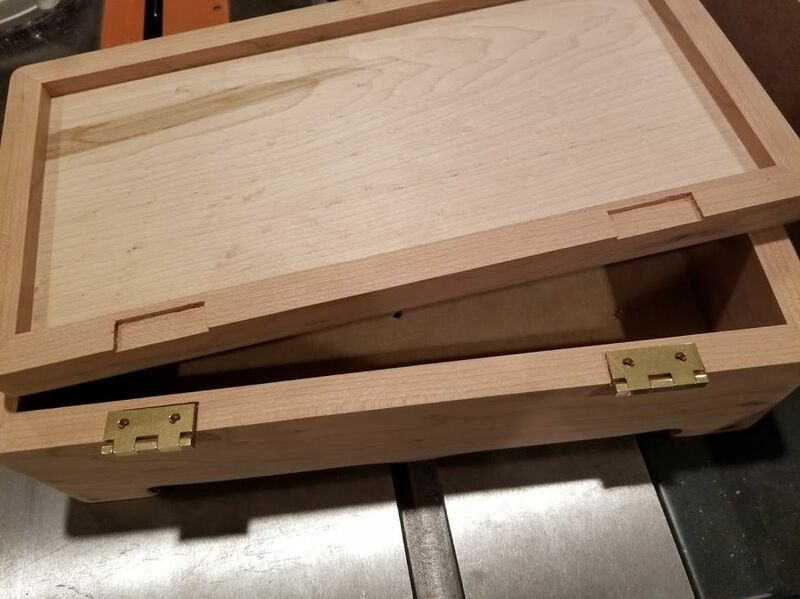 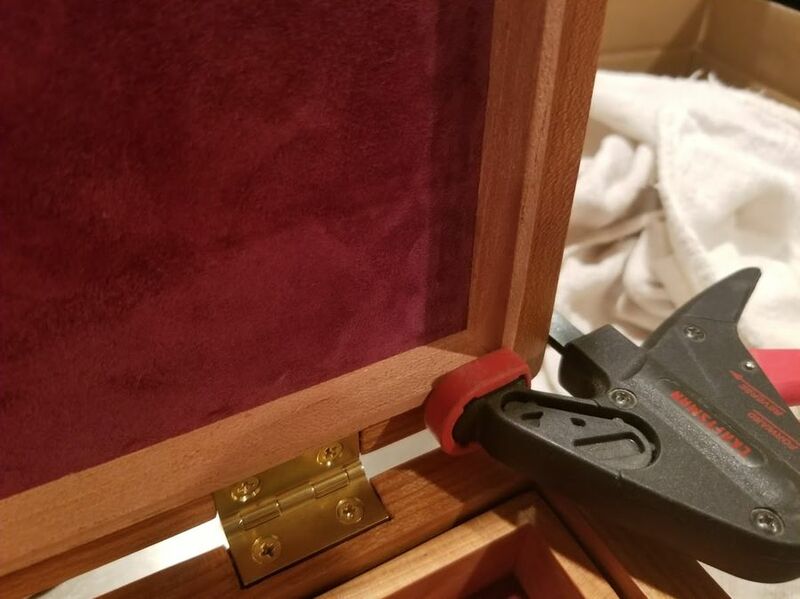 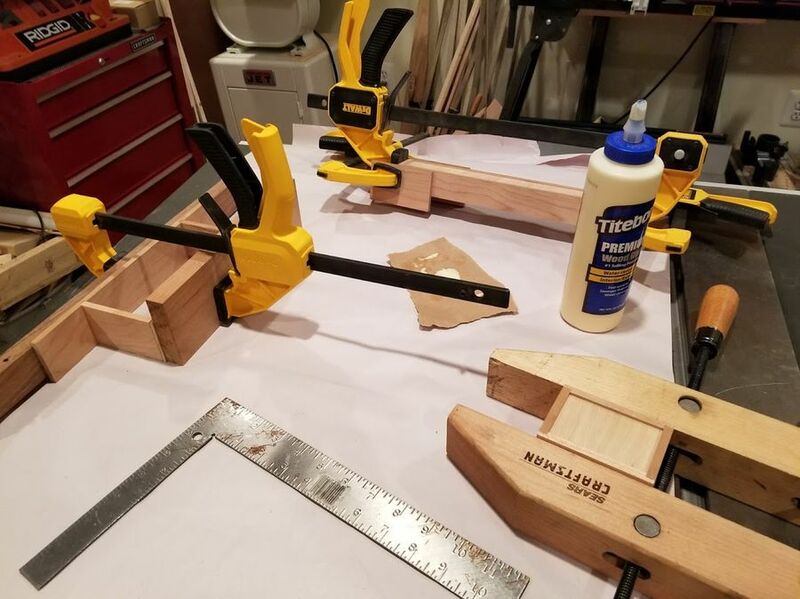 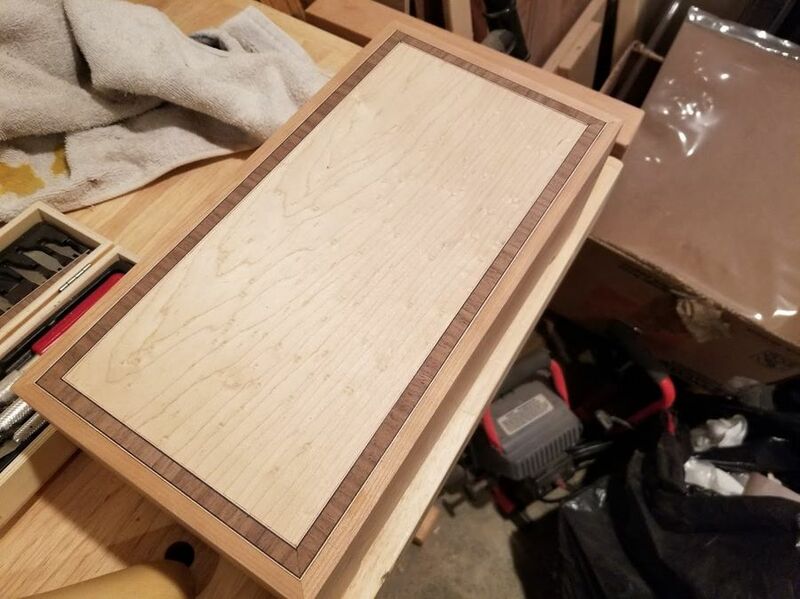 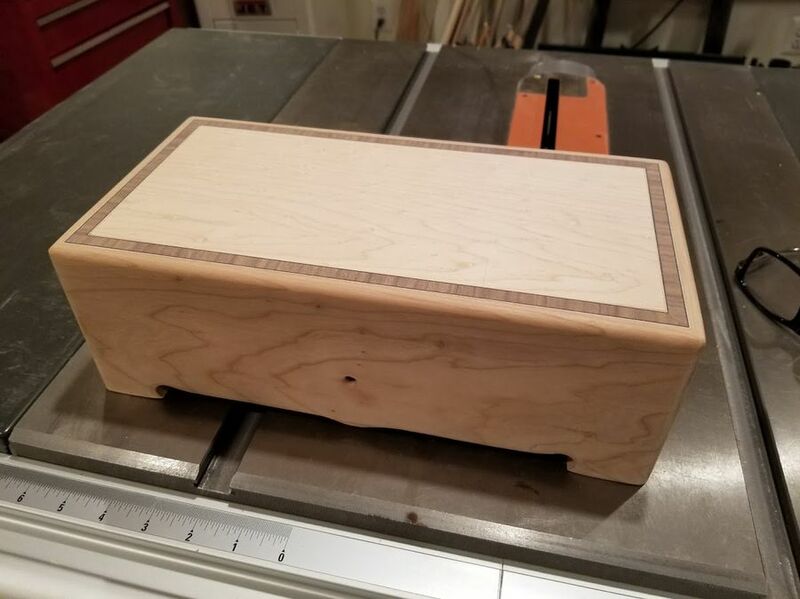 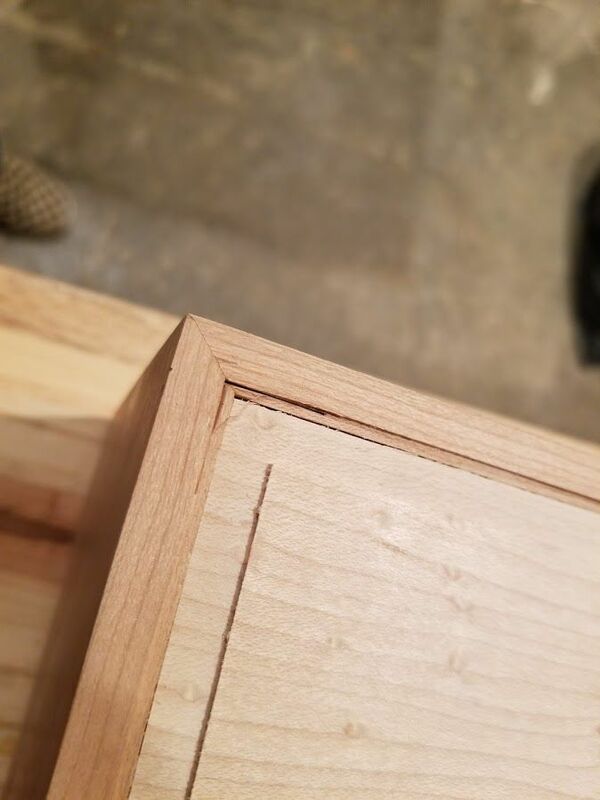 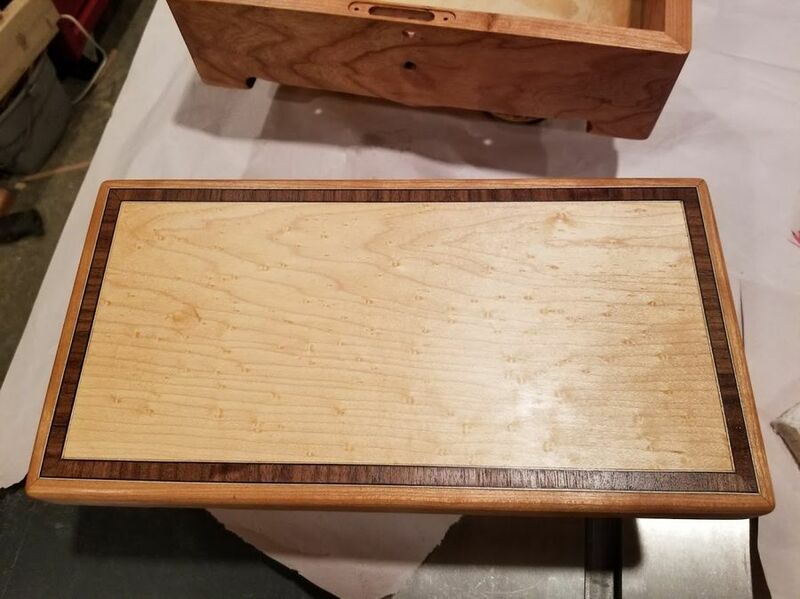 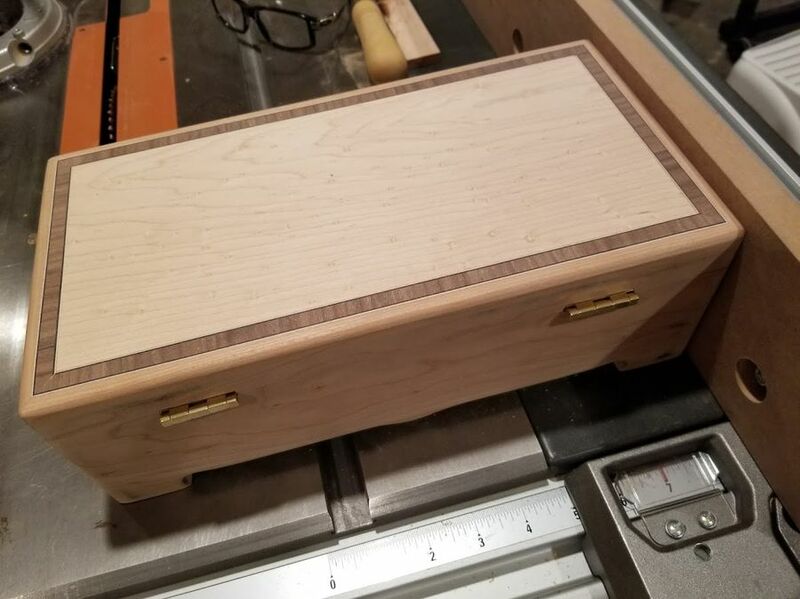 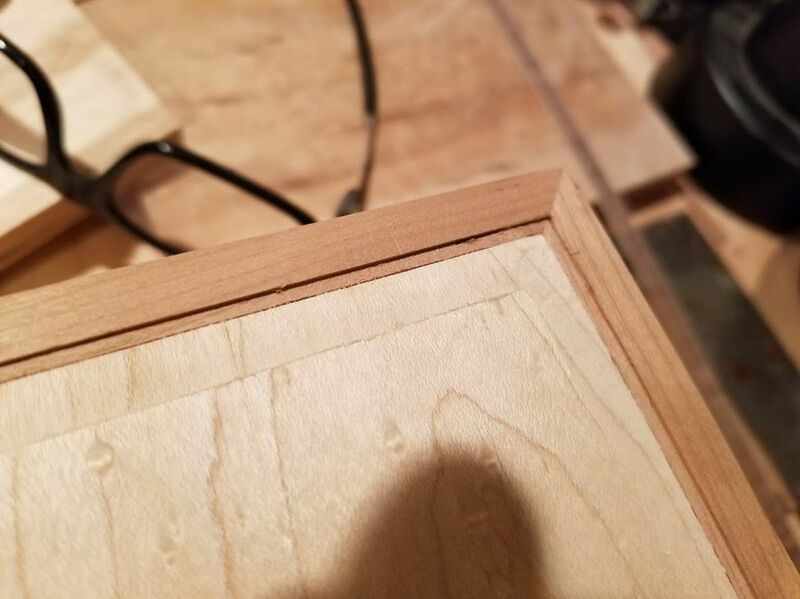 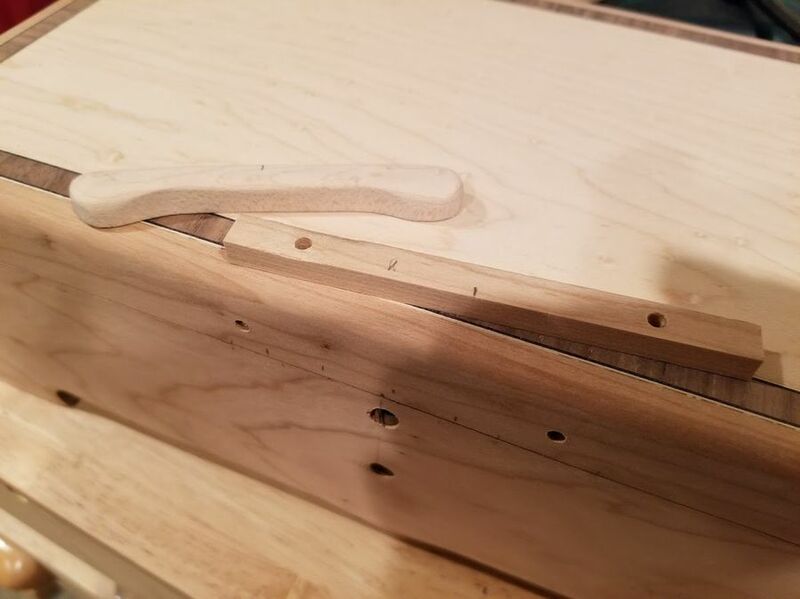 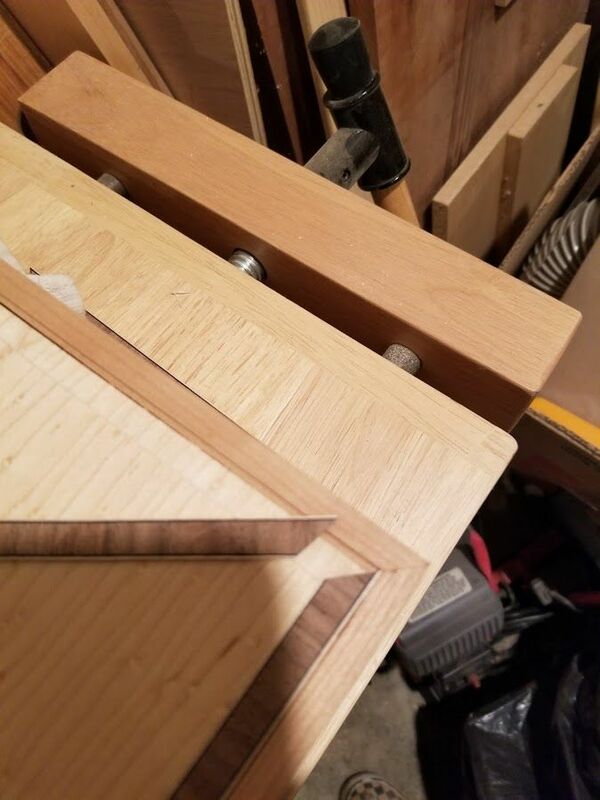 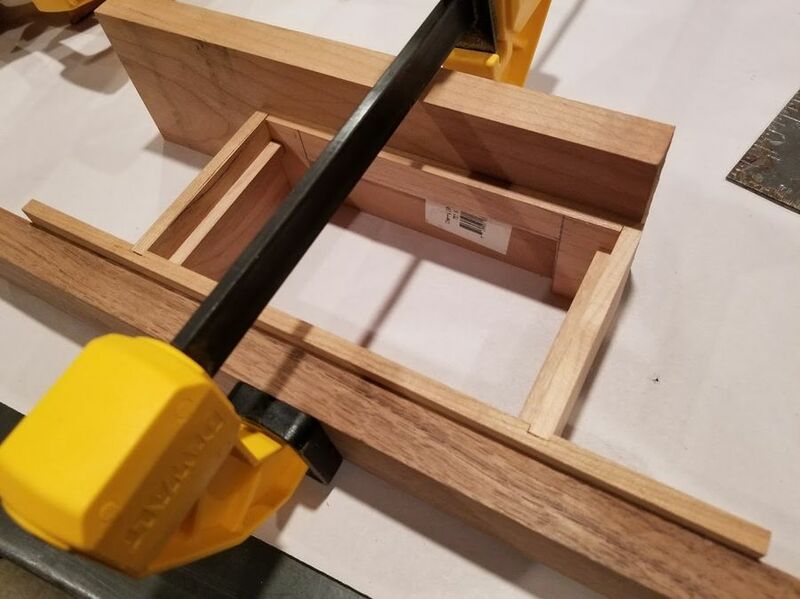 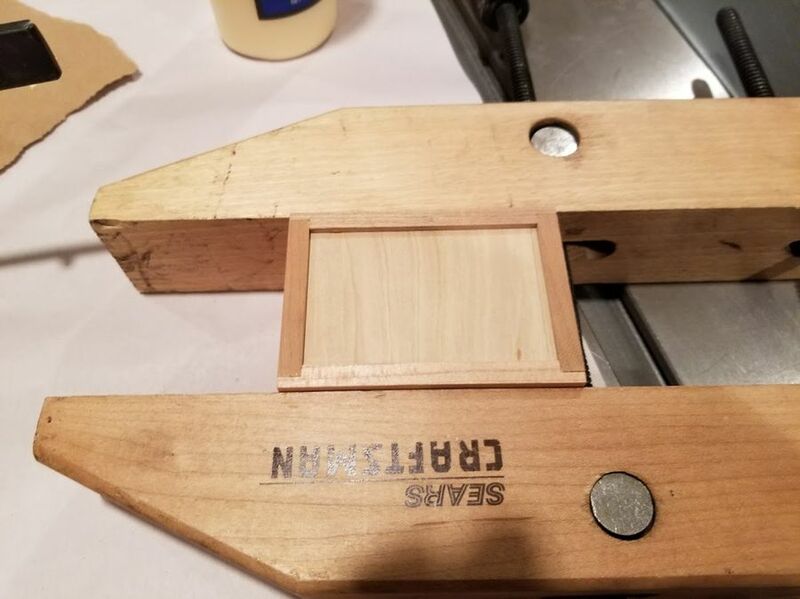 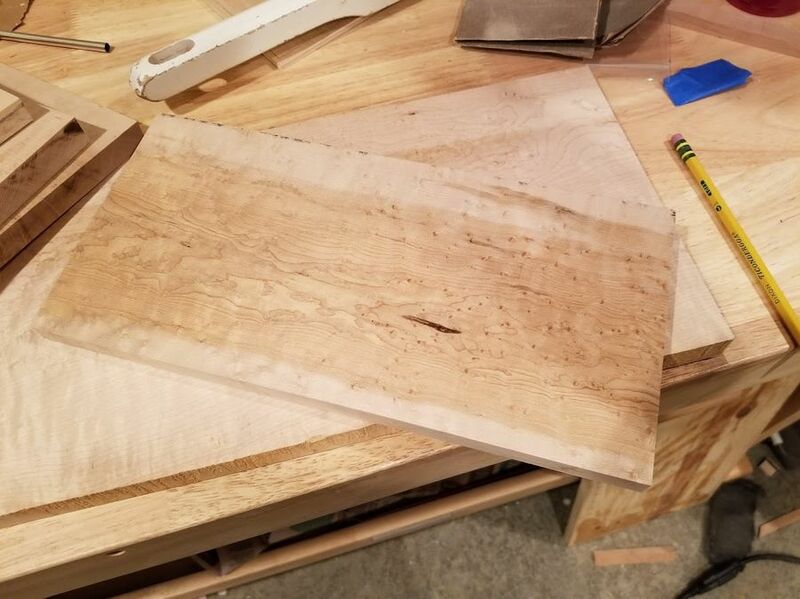 Originally I had planned to put additional inlay around the box but I realized once I use my shaper to soften all the edges, it would have blown through the inlay. 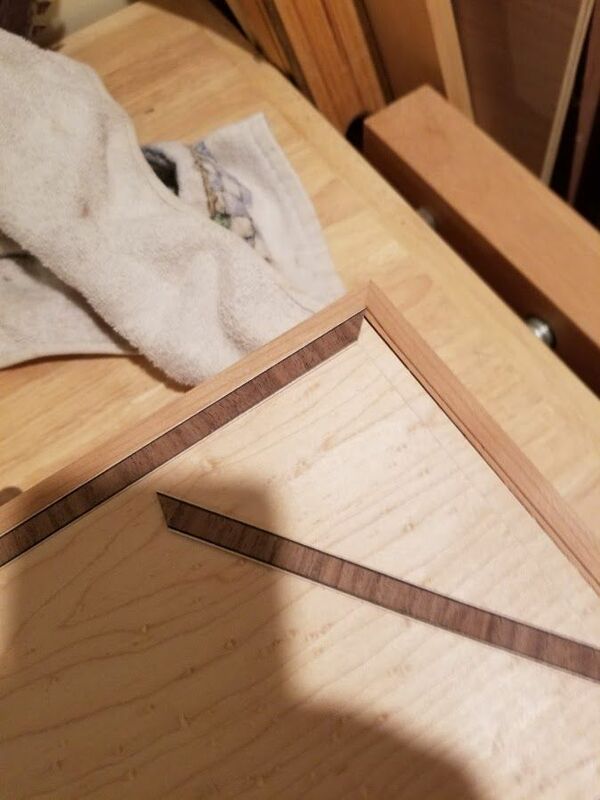 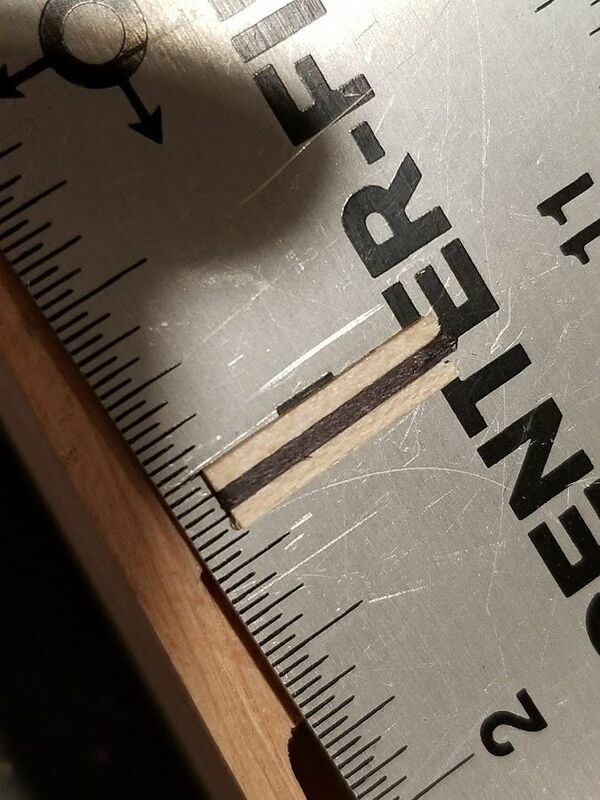 I need thicker inlay to try this.